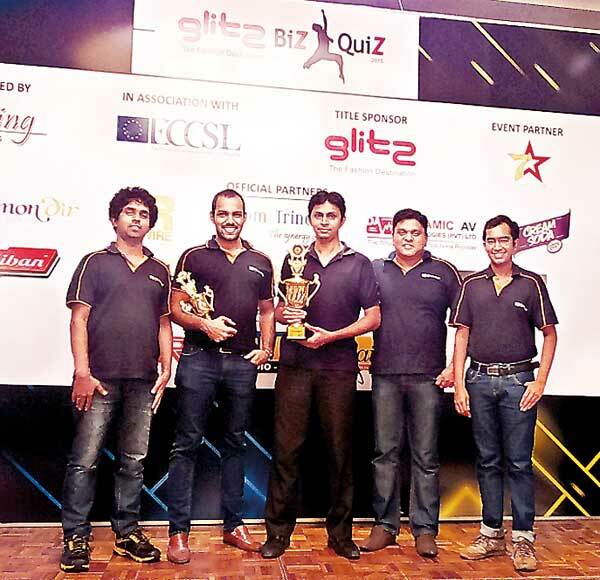 For the third consecutive year, 99X Technology successfully defended the coveted title of IT/software category champions at Glitz Biz Quiz 2015, holding out against tough competition from Sri Lanka’s top corporate entities, with IFS coming in second place. The Xian Quiz Team was also placed in third place overall, with teams from Dialog and People’s Bank finishing just a point ahead. As in the previous years, Sri Lanka’s premier corporate quiz attracted the top masterminds of Sri Lanka’s mercantile sector with 40 teams in total participating this year around, in a battle of the minds which challenged the mettle of all present. 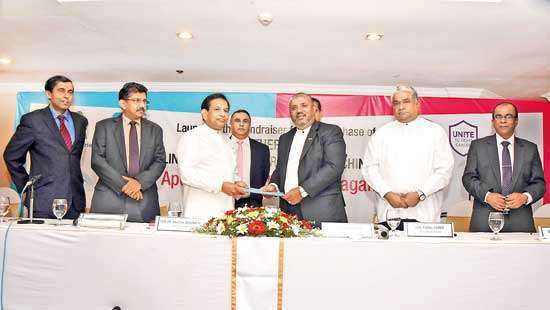 It included teams from DFCC, IFS, People’s Bank, Aitken Spence, Dialog, Leapset Engineering, SriLankan Airlines, Navantis and MillenniumIT. The team from 99X Technology was for the third year captained by Associate Tech Lead Shirantha De Alwis and in addition to him, consisted of Senior Software Engineers Kalanamith Mannapperuma and Rangitha Kuruppu, Associate Tech LeadIvantha Senevirathne and Process/Management Associate Navaka Navaratne. Since its inception three years back, 99X Technology’s Quiz Team has performed remarkably well against its corporate counterparts. Initiated by the employees themselves, the team participates in a number of events annually, ensuring that they stay at the top of their game. Just a week before Biz Quiz 2015, the team celebrated another victory at the first-ever Colombo Quiz 2015 organised by the Rotaract Club of Colombo Fort, at which it emerged corporate category champions. The Biz Quiz, organised by Dashing Events in collaboration with the European Chamber of Commerce of Sri Lanka, is a corporate quiz competition which brings together the country’s top corporate entities annually to test their knowledge in a wide range of categories. 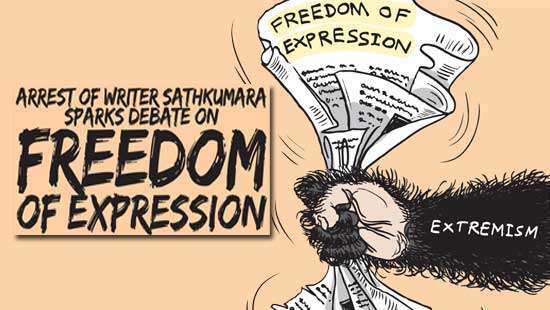 Hosted for the third consecutive year, it was held recently at Cinnamon Lakeside, Colombo. 99X Technology is an award-winning software product engineering company that specialises in delivering high-end software product development services to independent software vendors (ISVs) worldwide, with a primary focus within the European region. 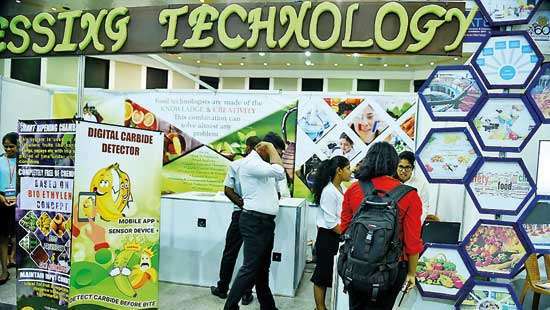 Headquartered in Sri Lanka, the company also has offices in Oslo, Norway and has an outstanding track record in building and delivering over 150 high-quality commercial products. It has been named one of Asia’s Best Workplaces for 2015 and has been ranked among the top 15 best companies to work for in Sri Lanka by Great Place To Work Institute for three consecutive years.